Good Hump Day Evening, My Cherished Men And Women. Question For Those Of You, My Fellow Led Zeppelin Lovers. Have Y'all Ever Listened To The Legendary Band's Masterpiece, KASMIR, On A Chilly, Cloudy And Drizzly Day? Oh, Sweet Lord, It Is One Of The Most Beautiful Experiences, Ever. God, I've Loved That Song Ever Since I Was A Child. KASMIR Is A Classic, Babies. How 'Bout DAZED AND CONFUSED? Awww... It's Just Phenomenal, Babies. I've A Love For Cold, Cloudy, Dreary and Drizzly Weather, As Do I With Listening To Those Two Zeppelin Works On Such Days. But Anyway, That's Another Novel. How 'Bout I Just Get On With This Post, Yah? However, If I'm Right About What I Write Within This Post Today, A Pardon From You Won't Be Necessary. Your Pink Flowers Are Gorgeous. And Your Russian Is Truly Impressive. You Just Love You Some Me. Don't You, Tech Giant? You Are As Mesmerized By Me As I Am By You. Aren't You? You're Very Brilliant . . . Not To Mention Intricate, Tech Giant. You've Been Makin' All Kinds Of Moves, Haven't You? I Just Have A STRONNNG Feeling That It's You. Like I Said, I Could Be Wrong, But It's Highly Unlikely That I Am. Uh-Uh. THIS Time I Believe It's You. Why? Well Because Both Of My Names Featured In A Reply: My Birth Name AND My Nickname - Which Is Cat. You Know What I'm Talking About, Don't You, Tech Wiz? You Amaze Me, As I Obviously Do You, Precious Tech Giant. That's Your Answer To My Post Headlined 'The Name Game,' Dated Nov. 2, 2015, I Take It? It's Just Fine With Me Though. You Can Be That Close To Me If You Like. Moy Uvazhayemyye Irlandtsy/Ital'yankskiy yazyk/Norvezhskiy Tekhnologiya Gigant? 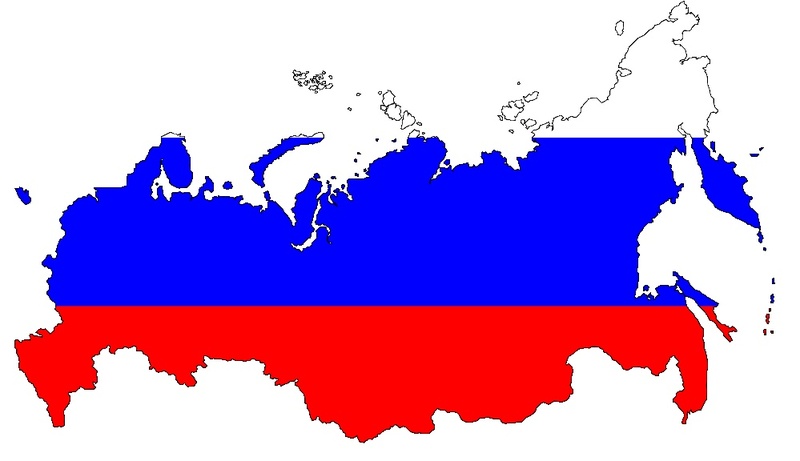 I Just Want You To Know That I Personally Selected The MAP Of Russia, - Which Leads This Post - Rather Than The Country's Traditional Flag, Especially For You. . . .Especially For You. You Should Also Know That You've Officially Crossed A Certain Line, My Dear Tech Giant. You Now Have A Place On My Heart's Soft Spot List. And Once A Person Finds His Or Her Way Onto My Heart's Soft Spot List, They Remain There On It Forever. MHE Lyublyu Bbl, Tekhnologiya Gigant. I Love You, Tech Giant.